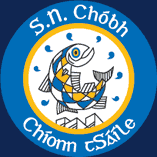 SN Chóbh were delighted to be invited to sing in the Friary Church on Sat 28th April for the Carmelite Lourdes Fundraising concert. Well done to Nora,Kiely,Amelia,Éabha,Ellie-Anne,Finn,Kali and Maeve. 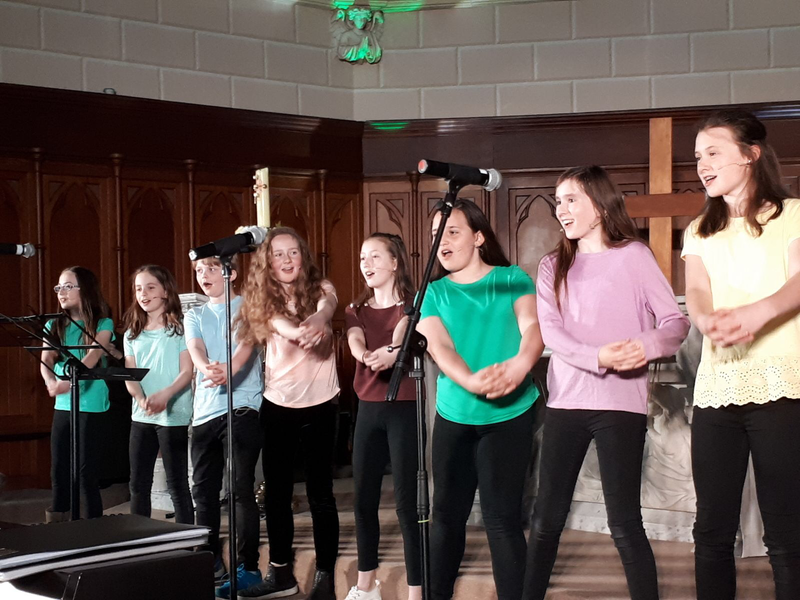 They did us proud singing a medley of songs entitled ‘Under the Moon and Stars’ accompanied on piano by Róisín Ní Riagáin. 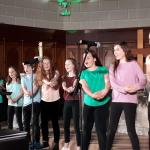 Kiely also performed a duet of ‘The Prayer’with her Dad Seán. Shay Ahern R5 did a solo of ‘The Blackbird’ accompanying himself on guitar.